I Fought South African Apartheid. I See The Same Brutal Policies in Israel. 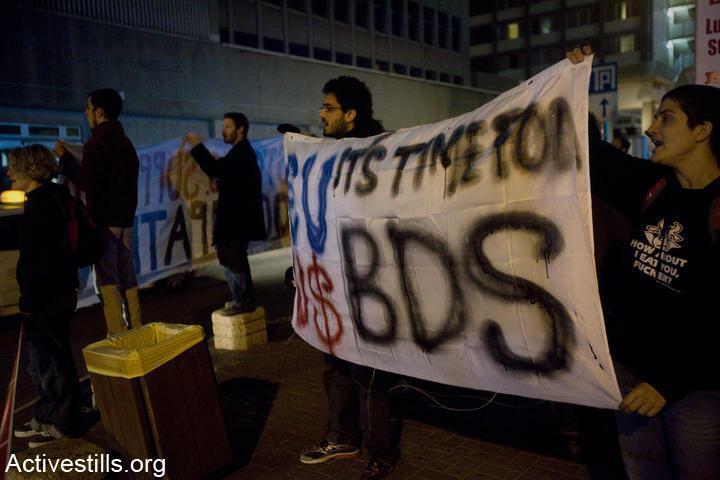 What is BDS? • What are the goals of BDS? • Who is calling for BDS? What are some examples of how BDS was used during Apartheid in South Africa? What is the call for academic and cultural boycott of Israel? Who are some of the people endorsing the Palestinian-led BDS campaign? Who are some of the people that have been involved in or endorsed a particular campaign of Boycott, Divestment, or Sanctions? What are some of the key successes the BDS movement has achieved? BDS stands for Boycott, Divestment, and Sanctions. On July 9, 2005, one year after the historic Advisory Opinion of the International Court of Justice (ICJ) which found Israel's Wall built on occupied Palestinian territory to be illegal, an overwhelming majority of Palestinian civil society called upon international civil society organizations and people of conscience all over the world to impose broad boycotts and implement divestment initiatives against Israel, similar to those applied to South Africa in the apartheid era. What are the goals of BDS? 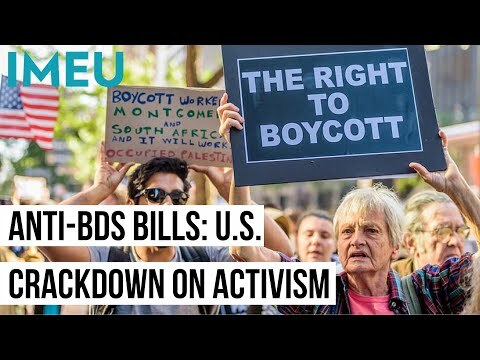 Who is calling for BDS? A 2005 call for BDS was endorsed by over 170 Palestinian parties, organizations, trade unions and movements representing the three major constituents of the Palestinian people, Palestinians in the Occupied Territories, Palestinian citizens of Israel, and Palestinians living in the Diaspora. On July 13, 2005 the UN International Civil Society Conference adopted the Palestinian Call for BDS. Today, hundreds of organizations and people of conscience around the world are actively supporting the Palestinian BDS call by engaging in a variety of BDS actions and initiatives. US-based Motorola was providing radio equipment to the apartheid government in Pretoria, where the police and army were using it. A US campaign calling for boycott of and divestment from Motorola products and subsidiaries resulted in Motorola's sale of its South Africa subsidiary to Allied Technologies Ltd in 1985. In October of 1981, the board of the Associated Actors and Artistes of America - an umbrella organization of major actors’ unions with a total membership of over 240,000 actors - took a unanimous decision that its members should not perform in South Africa. Similar to the boycott against apartheid South Africa, the Palestinian call for boycott includes an institutional boycott of Israeli cultural and academic institutions. The website of the Palestinian Campaign for the Academic & Cultural Boycott of Israel (PACBI) provides a thorough explanation of the nuanced cultural & academic boycotts, clarifying some key misunderstandings of the boycott, and providing guidelines of how to apply it. Stéphane Hessel, Diplomat, former ambassador, French resistance fighter and BCRA agent. He participated in the drafting of the Universal Declaration of Human Rights of 1948. Emily Jacir, Artist and recent winner of the Hugo Boss prize. Ahdaf Soueif, Best-selling novelist and political and cultural commentator. Noam Chomsky, Linguist, author, philosopher, and cognitive scientist. December 2011: The West London Waste Authority excluded French company Veolia from a £485 million (more than $763 million USD) contract. BDS activists have targeted Veolia because of the latter's role building and operating a light rail line that links Jerusalem with illegal Israeli settlements in the occupied Palestinian West Bank. Veolia also takes waste from Israel proper and settlements and dumps it on Palestinian land in the West Bank. Although the reasons for WLWA's decision are confidential, BDS activists celebrated it as a victory. August 2011: Agrexco, the Israeli produce and flower exporter which ships products from Israeli settlements, declared bankruptcy, an action attributed in part to the boycott of their products. July 2011: The Swedish supermarket chain Coop stopped purchasing Soda Stream carbonation devices which are produced in the illegal Israeli settlement of Maale Adumim. May 2011: The state-owned German company Deutsche Bahn pulled out of Israel's A1 rail project, which cuts through the occupied West Bank, after pressure from BDS activists and the German government. May 2011: French-Belgian bank Dexia announced it was selling its stake in its Israeli subsidiary, Dexia-Israel, after coming under pressure for providing loans for the construction of illegal Israeli settlements. June 2010: Responding to appeals from Palestinian civil society after Israel’s attack on a humanitarian aid flotilla to Gaza, dockworkers in Oakland - California, Sweden, and Norway all refused to dock and unload Israeli ships, imposing a blockade so-to-speak on Israeli goods. Similar historic action was taken by South African dockworkers in February of 2009. July 2009 – 2011: As part of a CODEPINK campaign against Israeli settlement-based and settlement-owned Ahava Dead Sea Cosmetics, Kristen Davis was suspended from her post as Oxfam spokesperson after it was revealed that she also represented AHAVA Beauty Products. Davis later ended her contract with Ahava. CODEPINK also confirmed with Costco that it would no longer carry Ahava products after a letter-writing and calling campaign by activists across the U.S. In 2011, Canada's Hudson Bay Company and British retailer John Lewis each announced they were no longer stocking Ahava. Finally, the Dutch government is currently investigating Ahava and its practices. 2006 - 2010: The “Derail Veolia” campaign against French corporation Veolia, for its involvement in the construction of a light rail train from Jerusalem into Israeli settlements or colonies on Palestinian land, led to a loss of over €7 billion for the company across several countries. Israeli news daily Ha’aretz reported that after the losses Veolia had decided to withdraw from the project. November 2007 - 2010: A global campaign against Israeli billionaire, diamond mogul, and settlement-builder Lev Leviev initiated by US-based Adalah-NY has led to his renunciation by UNICEF, denunciation by Oxfam, the removal of a promotional section of his website featuring actors like Salma Hayek, Drew Barrymore, and Halle Berry at some of their requests, and a UK government decision not to rent embassy space from his company. In November 2010, Leviev's Africa Israel company announced it would no longer be involved in settlement construction. February 2012: Musician Cat Power announced that she was cancelling her show in Tel Aviv in response to requests from BDS activists. February 2012: Indie pop band The Pains of Being Pure at Heart canceled their Tel Aviv show reportedly [Google translation here] for political reasons. February 2012: Grammy award-winning Jazz singer Cassandra Wilson canceled her show in Israel and announced support for the cultural boycott. January 2012: Village Voice music critic award-winners Tune-Yards cancelled a scheduled Tel Aviv show and band member Merril Garbus is signed on to a 2010 call to support boycott released out of Montreal. August 2011: The New Orleans jazz and blues band Tuba Skinny canceled their performance at the Red Sea Jazz Festival after being approached by BDS activists. August 2011: Several Indian artists invited to participate in Israel's first major show of Indian art declined the invitation, stating they "refuse to legitimize the illegal racist and apartheid policies of the Israeli Government against the people of Palestine and to become a part of 'Brand Israel.'" July 2011: Following pressure from Palestine Queer Groups, the board of International Lesbian, Gay, Bisexual, Transgender and Queer Youth and Student Organisation (IGLYO) withdrew their decision to hold their General Assembly conference in Tel Aviv. June 2011: The National Campus and Community Radio Association, comprising 82 radio stations in Canada, endorsed the call for BDS. June 2011: The renowned NBA star Kareem Abdul-Jabbar decided not to travel to Israel to screen his new documentary due to "concerns arising from Nakba day violence." June 2011: Punk legend Jello Biafra and his band the Guantanamo School of Medicine canceled their show in Tel Aviv following a sustained campaign by BDS activists. May 2011: Internationally-renowned U.S. folk guitarist Andy McKee withdrew from his scheduled concerts. May 2011: English singer-songwriter Marc Almond, formerly of the group Soft Cell, announced he was withdrawing from his planned concert in Israel. May 2011: Following a Facebook campaign, the popular Christian metalcore band August Burns Red pulled out of their planned concert in Israel. March 2011: The University of Johannesburg voted to sever its relationship with Israel's Ben Gurion University as a result of the university's role in the Israeli occupation. January 2011: French pop artist Vanessa Paradis, who was to perform in Tel Aviv joined by her boyfriend Johnny Depp, canceled her concert following what concert organizers attributed to pressure from BDS activists. January 2011: The World Association of Community Radio Broadcasters (AMARC), representing more than 4,000 radio stations in more than 100 countries, endorsed the call for BDS at their international conference. July 2010: According to festival organizers, Hollywood actors Meg Ryan and Dustin Hoffman canceled plans to attend the Jerusalem film festival following Israel's raid on a Gaza-bound aid flotilla that left nine dead. June 2010: California-based folk artist Devendra Banhart canceled two shows he had been set to play in Tel Aviv just hours before his scheduled arrival in Israel. May 2010: The University and College Union in Britain, with well over 100,000 members, voted to sever all relations with the Histadrut union in Israel and commence looking into the boycott of Ariel College. April 2010: Gil Scott-Heron announces that he will not play an upcoming show in Israel. March 2010 - Award-winning novelist, historian, and playwright, Sarah Schulman, chose not to accept the invitation to participate in a conference at Tel Aviv and Ben Gurion Universities. February 2010: According to Israeli producers, guitarist Santana canceled his concert in Israel due to pressure not to play there. This was after letters directed at him, including one from the Palestinian Campaign for the Academic & Cultural Boycott of Israel. 2008 - 2009 included: The Government of Spain’s exclusion of an Israeli university in the illegal settlement of Ariel from a prestigious international university competition for sustainable architecture in the world, organized by both the Spanish Government and the Universidad Politécnica de Madrid; rapper Snoop Dogg’s cancellation of a concert in Israel; The Yes Men withdrawing their film from the Jerusalem Film Festival; Roger Waters of Pink Floyd refusing to play in Israel again until it removes the wall it built largely on Palestinian land; and film director, screen writer, and critic Jean-Luc Godard canceling plans to attend a Tel Aviv film festival. July 2010, Jewish Voice for Peace activists presented over 15,000 petitions and postcard signatures to one of the world’s largest retirement funds, TIAA-CREF, asking them to divest from companies documented as profiting from Israel’s occupation of Palestinian territories. June 2010: Students at Evergreen State College in Olympia, Washington, voted to divest the college foundation’s funds from companies profiting from Israel’s illegal occupation. September 2009: The Norwegian Pension Fund announced its divestment from one of the most important Israeli defense contractors, and constructor of Israel’s wall, Elbit Systems. August 2009: British bank Blackrock divested from the West Bank settlement projects of Lev Leviev and his company, Africa Israel Investments Limited. This was especially significant since Blackrock was the second largest shareholder of Africa Israel. February 2009: Hampshire College, a pioneer in the 1970s by becoming the first U.S. university to divest from apartheid South Africa, decided to divest from some 200 companies that "violated the college's standards for social responsibility," including six companies with close connections to Israel's occupation. October 2010 - Norway, Canada, Ireland, UK, Sweden, Iceland, Turkey and South Africa did not attend the Organisation for Economic Co-operation and Development's "High-level roundtable" on tourism in Jerusalem following claims by Israeli tourism minister Stas Misezhnikov that attendance signaled the OECD's recognition of Jerusalem as Israel's undivided capital. February 2010 - The European Union court in Brussels ruled that products from Israeli settlements on the Occupied Palestinian Territories are not Israeli and are therefore not eligible for the trade benefits between Israel and the European Union. July 2009 - Britain blocked the sale of spare parts for Israel’s fleet of missile gunships because they were used in the 2009 bombing of Gaza, revoking five of Israel’s arms licenses with the UK. January 2009 - The European Parliament managed to halt negotiations on strengthening the trade relationship between the EU and Israel in the framework of the Association Agreement and there are new, emboldened efforts to try and get the Association Agreement suspended altogether. The Institute for Middle East Understanding (IMEU) is a non-profit organization that offers journalists facts, analysis, experts, and digital resources about Palestine and Palestinians.